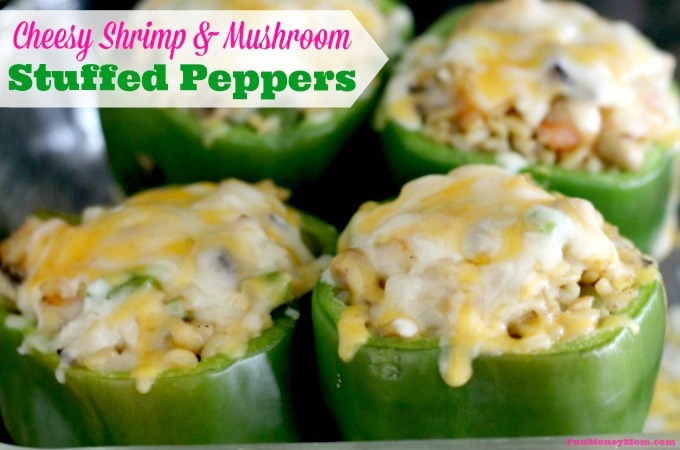 Does your family love seafood? 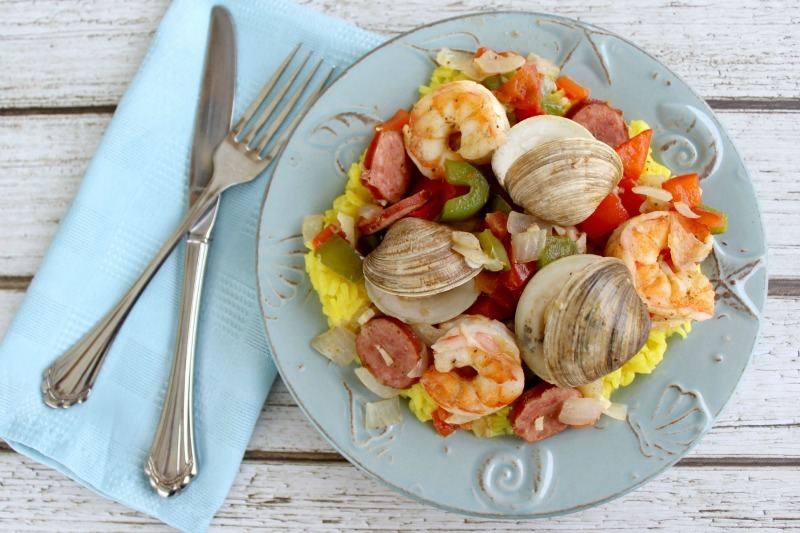 If so, they won’t be able to get enough of this delicious seafood recipe for fresh Shrimp And Clams Over Rice! My family loves fresh seafood! While there are already a million reasons to love living in Florida, one of the best is that there are so many different types of seafood at your fingertips! 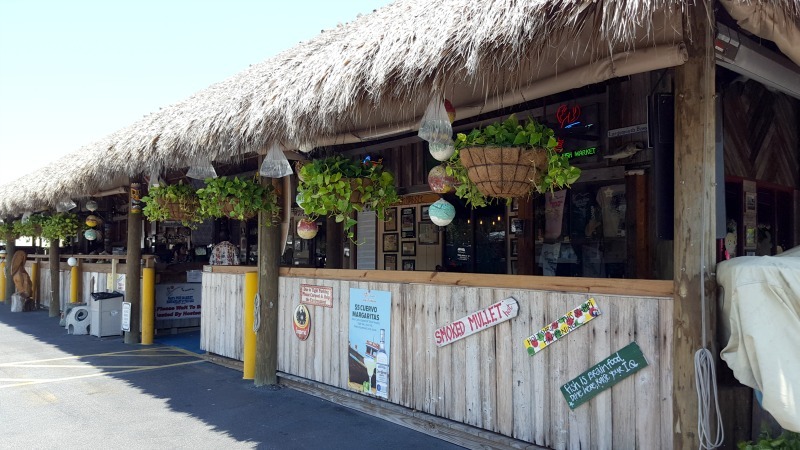 Depending on the month, you can find Fresh From Florida grouper, mahi-mahi, tuna, lobster, crab and so much more! 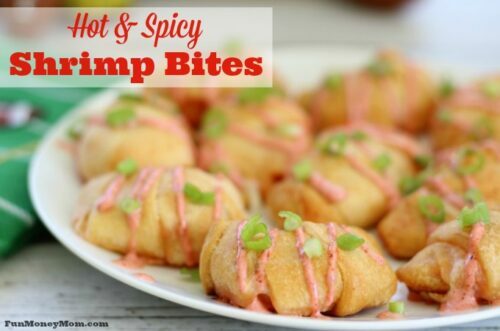 While we love just about every kind of seafood, our personal favorite is definitely the shrimp…the rest of us just have to get to them fast before my hubby does! When our girls went on vacation with their grandparents recently, we decided to enjoy our kid-free time by heading to a local seafood market. I’d found Walt’s Seafood Market on the Fresh From Florida website, along with a list of other seafood markets. There’s also a page devoted to delicious recipes incorporating both Fresh From Florida seafood and fresh produce. 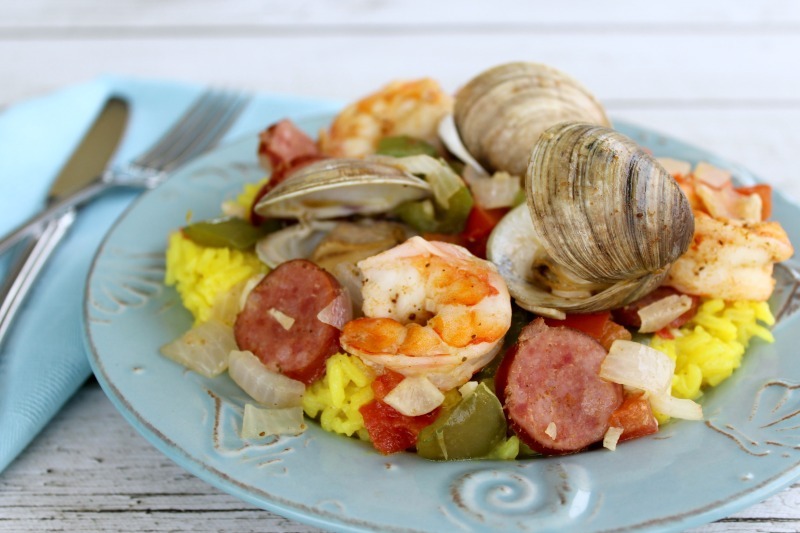 I found some really great recipes to choose from but when I came across the Florida Shrimp And Clams Over Rice, I knew we had a winner! When we pulled up to Walt’s, I could tell right away that it was our kind of place! There was nautical decor everywhere, both inside and out, which made for a fun atmosphere. Walt’s is 1/2 restaurant and 1/2 seafood market so next time we may have to stay a little longer and have some lunch too! 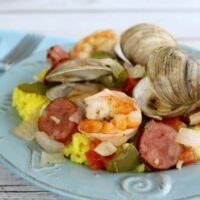 We picked up our Fresh From Florida shrimp and clams and went back home to get started on dinner…I really couldn’t wait to try this recipe! 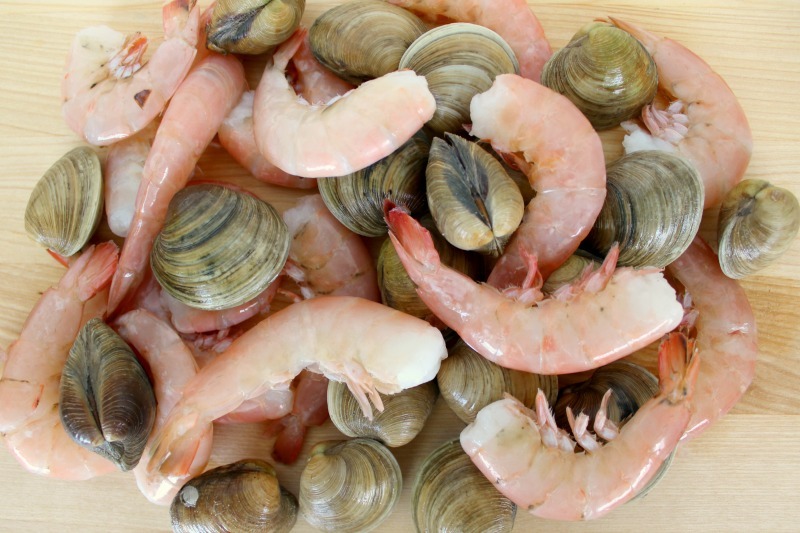 You know anything that starts with fresh seafood is going to be good! First, you’ll need to peel and devein your shrimp and clean your clams, then set aside. 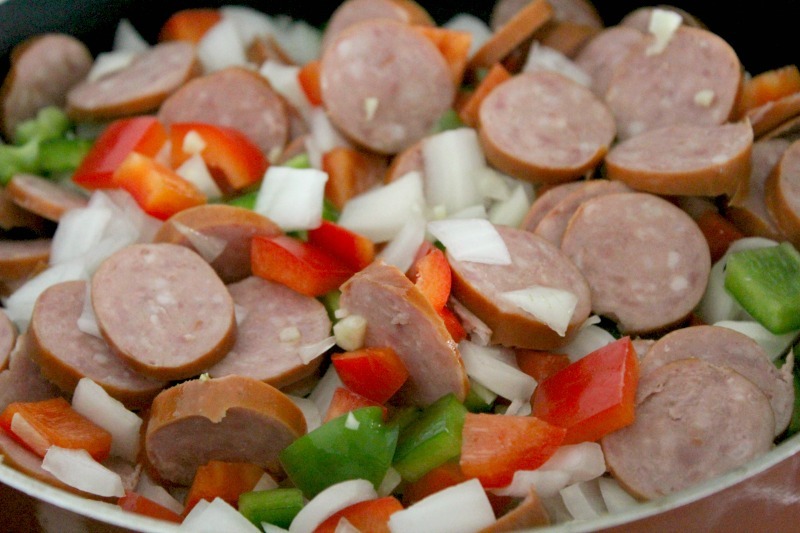 I like to do all my prep first so I also sliced the sausage and chopped the veggies and garlic before I got started. 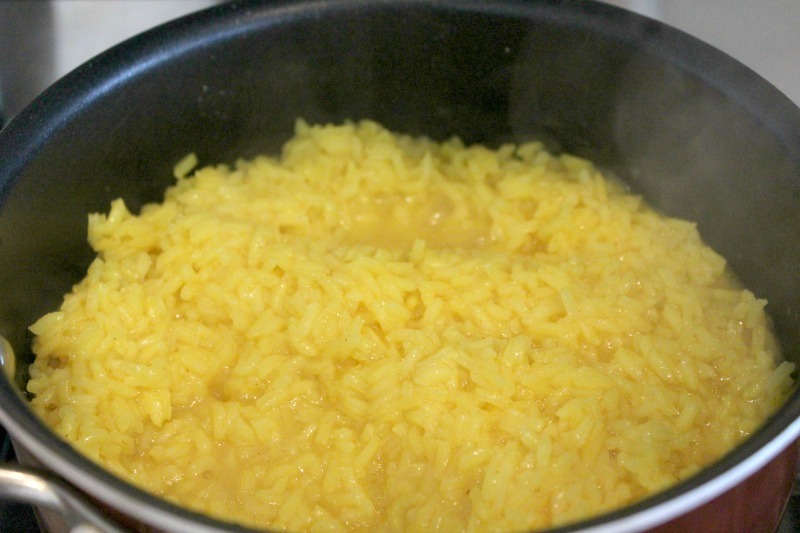 Once everything was ready, I started cooking the yellow rice (you can also use Spanish rice). Next, preheat a large sauté pan over medium high and add olive oil. Cook the onions, peppers, garlic and sausage until slightly caramelized (about 4 minutes). Stir in shrimp, clams and seasoning blend. Cover and cook until shrimp are almost thoroughly cooked and clams have started to open (about 4 more minutes). Stir in diced tomatoes and butter, season with salt and pepper and serve over cooked rice. I don’t cook seafood very often so I was a little nervous about how it would turn out. Well, I shouldn’t have worried because this dish turned out amazing. 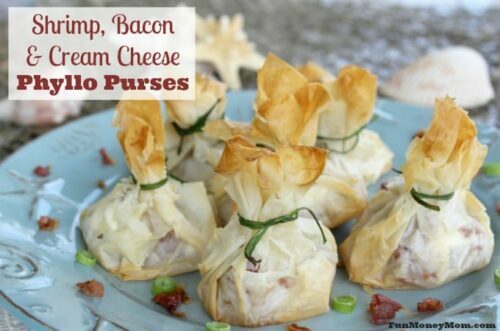 It was so delicious that I’m making this a part of my regular rotation and now I can’t wait wait to try out the other Fresh From Florida recipes! Maybe next I need to make one of the yummy dessert recipes next! 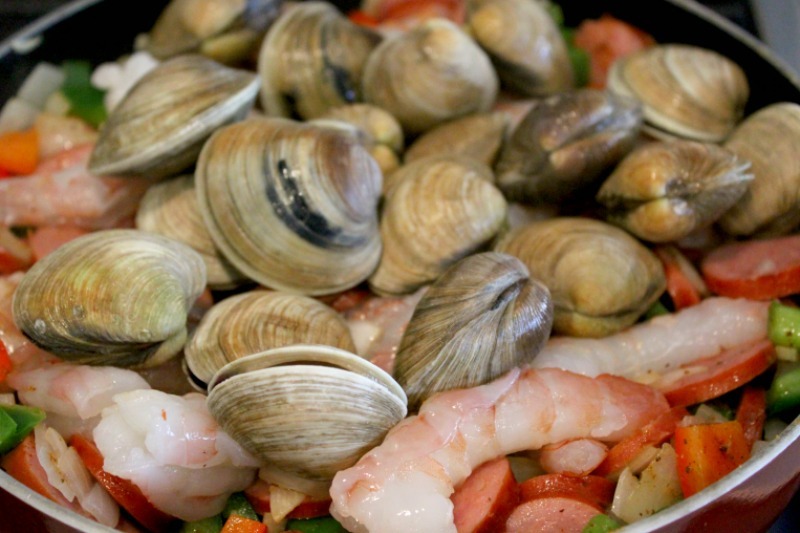 If you're a seafood lover, you'll eat every last bite of these delicious Shrimp & Clams Over Rice (and then you'll want more)! Are you a seafood lover? Which of the Fresh From Florida seafood recipes would you most like to try? Wow, this looks so good. The seafood market looks great too. I love finding places like that. I’m going to have to check the website to see if there are any good ones near me too! Thanks Hannah! It really was delicious! I can’t wait to go back to Walt’s…I love anything with a thatched roof and a nautical theme!!! It was so easy…you should definitely give it a try! That sure is a different meal it looks exotic. I enjoy looking at but I could not enjoy eating it. The remainder of my family would absolutely love it.